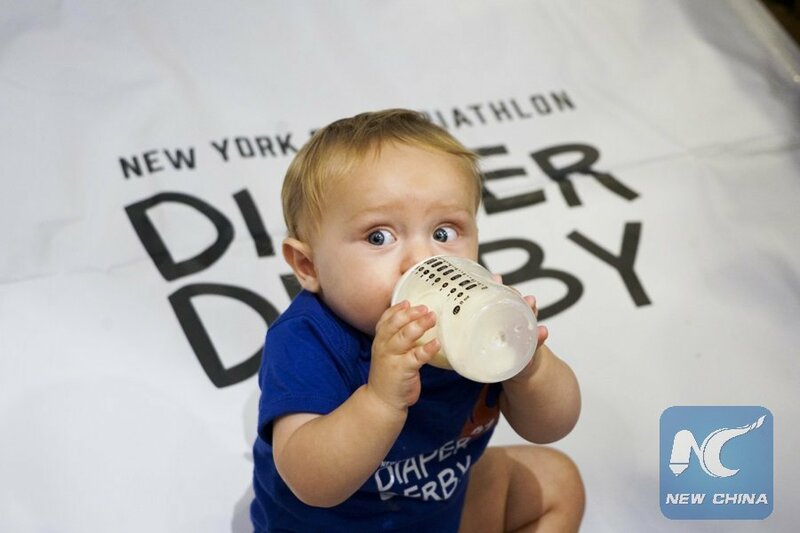 WASHINGTON, July 9 (Xinhua) -- A study published on Monday in the journal JAMA Pediatrics has found that babies who were introduced to solid foods early slept longer, woke less frequently at night than those exclusively breastfed for around the first six months of life. Researchers from King's College London and St George's University of London studied 1,303 exclusively breastfed three-month-olds from England and Wales and divided them into two groups. One group were encouraged to exclusively breastfeed for around six months. The second group, while continuing to breastfeed, were asked to introduce solid foods to their infants' diet from the age of three months. Parents completed online questionnaires every month until their baby was 12 months, and then every three months up to three years of age. The questionnaires recorded the frequency of food consumption and included questions about breastfeeding frequency and duration, as well as questions about sleep duration. A total of 94 percent (1,225) of them completed the three-year questionnaire, among which 608 from the exclusive breastfeeding group, and 607 from the early introduction of food group. The study found that infants in the group which had solids introduced early slept longer and woke less frequently than those infants that exclusively breastfeed to around six months of age. Differences between the two groups peaked at six months, with the early introduction group sleeping for a quarter of an hour (16.6 minutes) longer per night and their night waking frequency decreased from just over twice per night to 1.74. Feedback about maternal wellbeing showed that sleep problems were reported less frequently in the group introducing solids before six months. The results of this research support the widely held parental view that early introduction of solids improves sleep, said the paper's lead author Gideon Lack with King's College London.